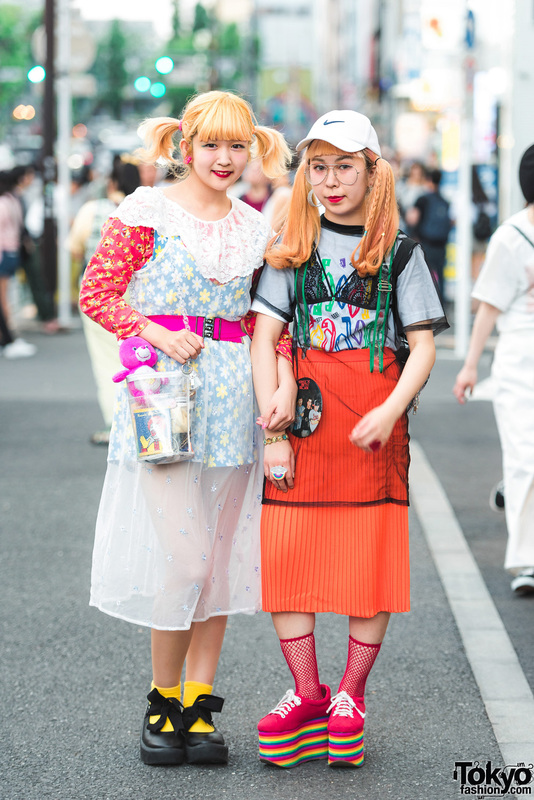 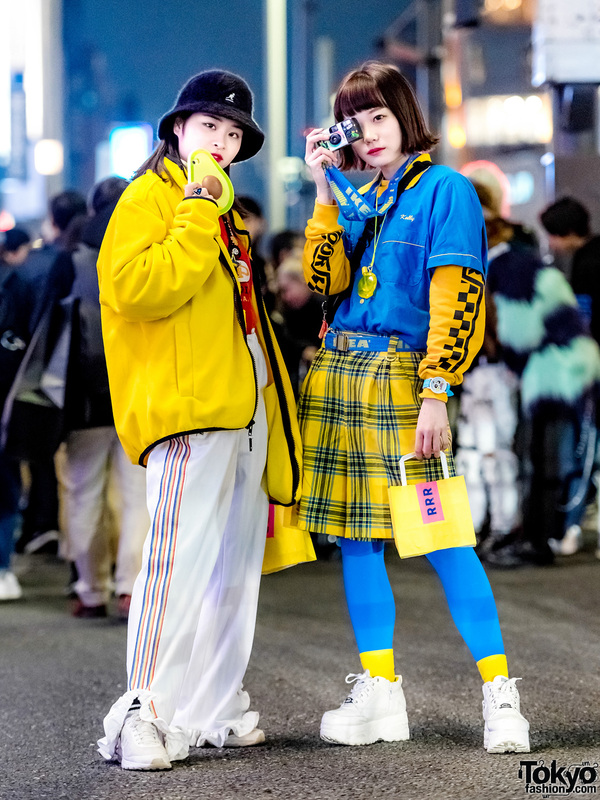 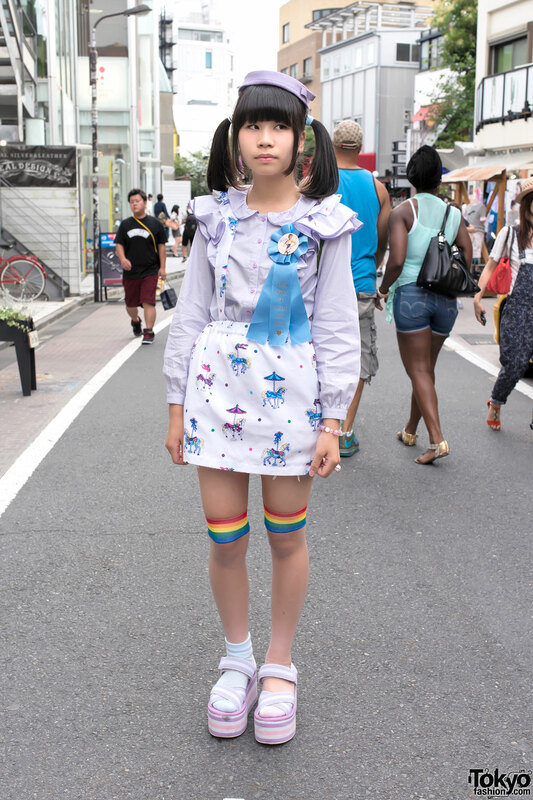 17-year-old students showcasing blue-and-yellow street styles in Harajuku. 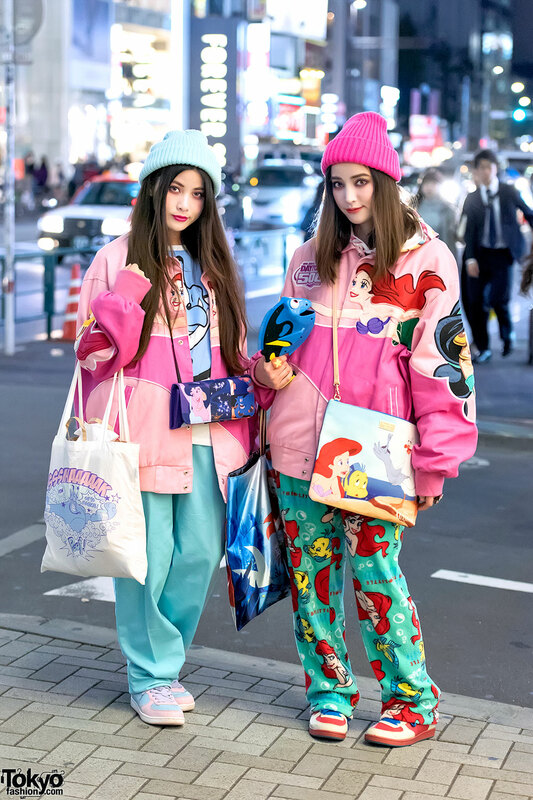 Harajuku girls sporting sheer nightwear as outerwear fashion with ruffle dress over floral jumpsuit and sweatshirt, sheer top over t-shirt and pleated skirt, bow shoes, platform sneakers and accessories. 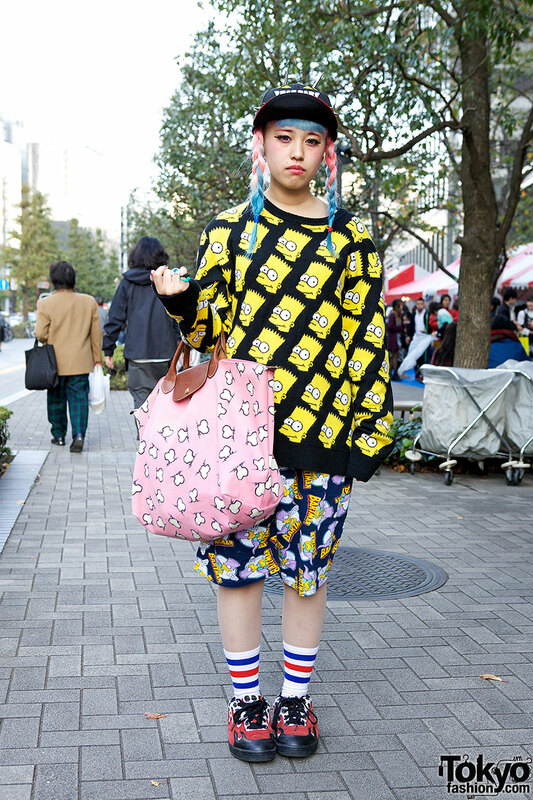 Girl with braided pastel hair, The Simpsons sweater and shorts, Longchamp bag and Airwalk sneakers.